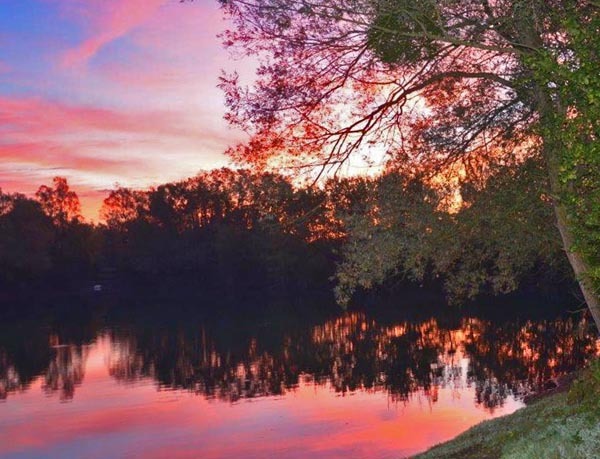 Home Lakes French carp fishing: What Should I expect to Catch? 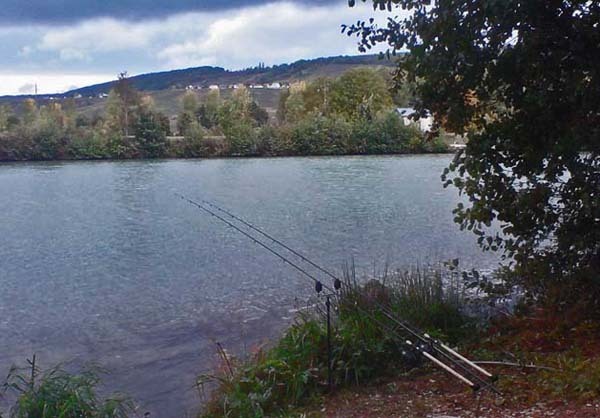 French fishing : Choosing the lake for you! I often hear anglers who have booked onto a commercial french carp fishing venue complain about the difficulties they face catching carp. Some anglers even doubt the presence of the fish in the lake!! It is almost as if having paid to be able to fish a venue they have a certain quota of fish they expect to catch. Unfortunately the simple fact of paying to fish a holiday venue can’t possibly guarantee that the carp will crawl up the rods. Our lakes have good stock levels and some good fish, but not really what one would call runs waters. Most waters in France are however significantly more pressured than day ticket or club waters in the UK. So What Should I expect to Catch on a trip to France, and how do I get the best out of a new venue ? What you have in fact paid for is a chance to pit your wits against some big fish! Firstly I think anglers need to appreciate that carp fishing is the same everywhere. A carp is a carp is a carp. They behave the same in France as in the UK. Most of the continental waters do contain bigger fish than their UK equivalents, but on some of the southern English waters this divide is narrowing. What you have in fact paid for is a chance to pit your wits against some big fish…And this is where your part of the deal comes in. You have to fish well to do well. If you are blanking, then you ARE doing it wrong!! Ok, I accept there are times when the carp don’t play the game, are spawning or feeding on naturals. But the good anglers nearly always do well. I have seen it time and time again over the last 15 years, some guys always struggled and others always do well…. Is this just good luck? I think not!!! Our venue is primarily a holiday venue, offering the chance of a good fish, plus facilities, & accommodation on site. We pay very close attention to this and steps are taken with fish stocks to offer the best sport possible. The first thing to bear in mind is that you do need to fish to catch them… simply chucking a boilie out into the middle of the lake and sitting back with a beer won’t guarantee you a fish. Ok on some of the runs waters this can work, but on most waters it will more often than not result in a blank session. So what do you do? Get to know your swim… use a marker or echosounder and find out the depths, nature and make up of the bottom. Use your eyes. Look for signs of carp, they usually show themselves at some point. Use a good bait and tackle. Plan your baiting campaign, but don’t be afraid to change tactics, swims, baits etc if your standard tactics don’t work. If you haven’t had a take after a day or two you are certainly off in your approach to the swim. You’ll need to reappraise your tactics or move to a new swim (if this is possible). Don’t waste your chances. Lost fish, through poor tackle, poor playing or being too far from your rods is your own fault. Ok the odd lost fish has to be accepted, but more than that and you are doing it wrong. I’ve seen so many anglers accept 6, 7 or 8 lost fish without questioning their approach or their tackle. I just couldn’t accept this. Check your hook holds and adjust your end tackle, bait presentation, hooklink length etc until you are hooking the fish well in the bottom corner of the mouth. Do your homework before you go, but don’t go with a preconceived idea of which swim you want and how you’re going to fish it. Just because it has worked in the past doesn’t mean it will work again. Conditions change, fish wise up to certain tactics and baits. Be realistic and don’t set your sights too high. 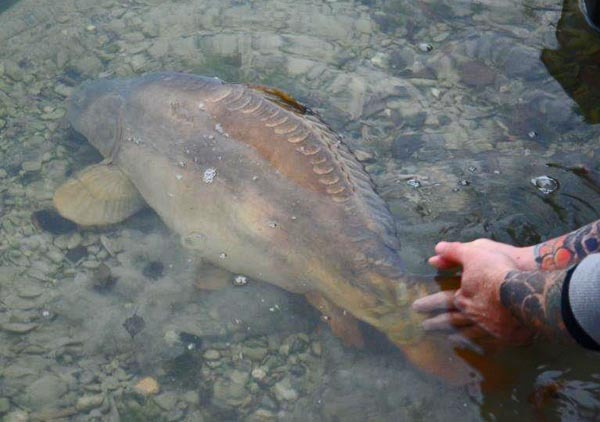 I’ve seen so many inexperienced anglers chose a difficult big fish venue and struggle. If you have never had a 20lb or 30lb fish in the UK, don’t expect to turn up and haul 40’s in France. Build up your experience progressively. Choose a fairly easy well stocked water first off, until you have a good number of decent fish under your belt and are ready to target the bigger ones. Finally if you do select a big fish lake don’t expect many takes. Big fish venues have lower density of fish stocks, so you’ll often only get a couple of chances in a week to bank a biggie. As I said above don’t waste these or you could easily blank. Ok so here are a few points about being realistic when you come to France. Bear these in mind and you’ll have a better holiday and catch more fish.